Gorgeous and well-cared-for 2015 Corvette Stingray with the 3LT package for sale at Purifoy Chevrolet in Fort Lupton. It is powered by an efficient 6.2L V8 engine with an 8-speed paddle shift automatic. Chrome aluminum wheels, navigation, heated and ventilated power seats, performance data and video recorder, transparent removable roof panel, remote vehicle start, and Bose premium audio system are just some of the amazing features you can expect on this beauty. Visit Purifoy Chevrolet, just down the road from Denver, for a test drive of this super Corvette today. Check out the super selection of new and used Corvettes we have available for sale at our Indoor Corvette Showroom. You are sure to find the perfect Corvette for you! 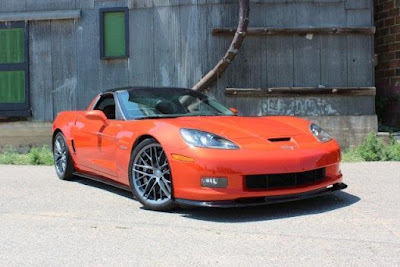 This sporty Corvette has less than 8,000 miles on it! 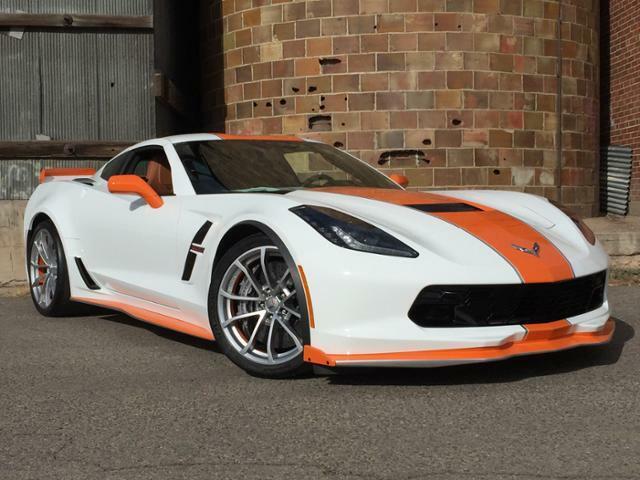 Visit the Purifoy Chevrolet Indoor Corvette Showroom, just down the road from Denver, for a test drive today. You can also check out the great variety of both new and used Corvettes we have for you to choose from! When it is time to purchase your new Corvette, don't settle for what is available on the lot. 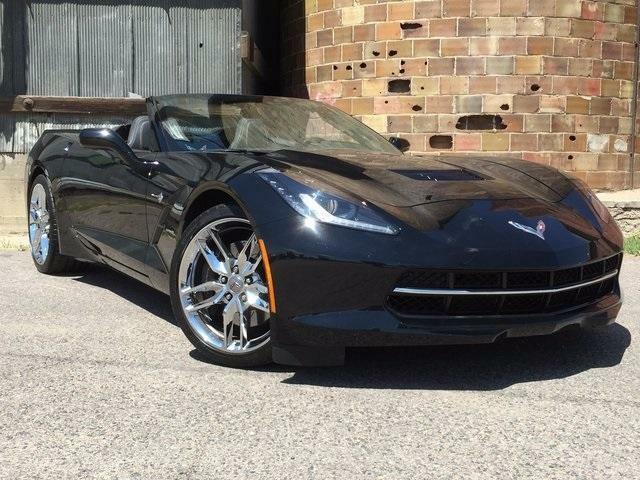 At Purifoy Chevrolet we keep a great selection of new Corvettes so you can choose the one that is perfect for you! Right now you can choose from new Corvette inventory from three model years. Drive away with an amazing deal on one of our last two remaining new 2016s. Or choose one of our discounted 2017s. Looking for the newest of the new? We have an exciting selection of the 2018 Corvette too! 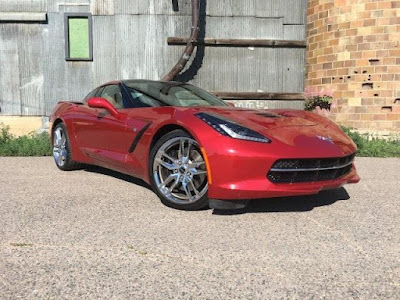 No matter which one you choose, you know you get the Corvette expertise of Purifoy Chevrolet to help you with the purchase and servicing of your Corvette. Stop by today and pick out your Corvette at our Indoor Corvette Showroom in Fort Lupton, Colorado. We are just down the road from Denver and very worth the drive! Only 6,000 miles and in pristine condition? That's what you can expect when you buy this gorgeous 2011 Corvette Z06 Hardtop at Purifoy Chevrolet in Fort Lupton. It is powered by the impressive 7.0L V8 SFI engine with the efficient 6-speed manual transmission. If you love features, then you will adore what this car has to offer! 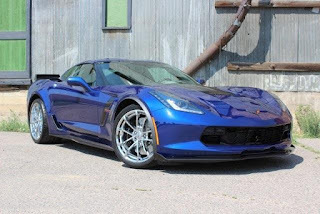 When you drive home in this beauty, you will have such features as Bose Audio System, 2LZ Preferred Equipment Group, Z06 Ultimate Performance Package, CFZ Carbon Fiber Package, and leather seating. 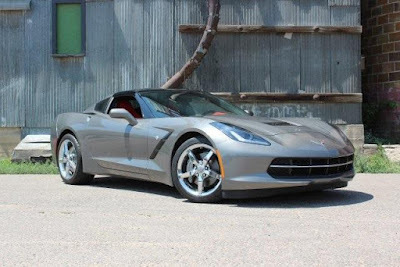 Visit Purifoy Chevrolet, just down the road from Denver, to see this amazing 2011 Corvette Z06. Take a test drive and fall in love with the power and features. Here at Purifoy Chevrolet in Fort Lupton, Colorado, we love Corvettes! So much so, we built them their own climate-controlled showroom! Our beautiful showroom is always stocked with an impressive selection of both new and used Corvette models for viewing and purchase. At Purifoy Chevrolet, we strive to protect your investment before you have even made it! Does your current Corvette need service or expert body work? Our Service Center knows Corvettes and how to care for them as they should be. We are dedicated to keeping your Corvette safe while we take care of your maintenance and repair. Rest assured that your Corvette will never be kept outside overnight! Visit Purifoy Chevrolet today to see why our beautiful climate-controlled Indoor Corvette Showroom is a favorite destination for Corvette enthusiasts across Colorado. Here at Purifoy Chevrolet in Fort Lupton, Colorado we are currently holding our Sports Car Clearance - our impressive sports car inventory is priced to sell! Whether you are getting a brand-new Corvette or a new-to-you Corvette, you can expect to get a great deal at Purifoy Chevrolet! We have a great variety of Corvettes that will be discounted up to $5K! We also have a super selection of gently used Chevrolet Corvette sports cars which you can view here. Stop in today to check our inventory out and even take a test drive! Let us help you find the sports car of your dreams at a price that will make you smile! Purifoy Chevrolet is just a short drive from Denver....and we will make it worth the drive! This gorgeous 2015 Chevy Corvette Stingray Z51 won't be available for long! It has so many great features and has been gently owned and well maintained. This convertible sports car has less than 12,000 miles on it and is powered by the impressive 6.2L V8 paired with an 8-speed paddle shift automatic transmission. Enjoy features such as Head-Up Display, Heated & Vented Seats, Performance Data & Video Recorder, Memory Package, 3LT Preferred Equipment Package, and Custom Leather Wrapped Interior Package. Visit Purifoy Chevrolet in Fort Lupton, Colorado near Denver to see this beauty today. Let us introduce you to the exciting variety of features. Gently used and priced to sell! 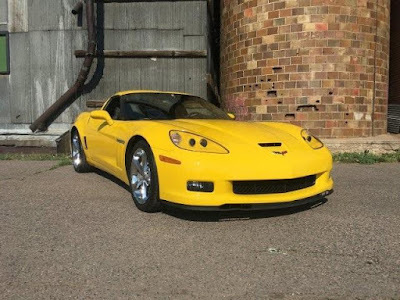 Purifoy Chevrolet in Fort Lupton, Colorado near Denver has this gorgeous yellow gently used 2011 Chevrolet Corvette Grand Sport 1LT in our inventory! For less than $40,000 and with less than 30,000 miles on it, this is a gorgeous pre-owned sports car that still has plenty of power for its new owner! · One-Piece Removable Body-Color Roof Panel …and many more! Stop into Purifoy Chevrolet today to check this vehicle out and even take a test drive! We also have many other gently used Corvette models for you to choose from. Visit today and enjoy a walk through our Indoor Corvette Showroom! · BOSE advanced 10-speaker stereo system with bass box and 2 subwoofers! · Carbon-fiber removable roof panel to enjoy the warm summer days! This stunning Corvette is a CARFAX 1-Owner vehicle and has been very well maintained. Local trade! Contact Purifoy Chevrolet to experience this incredible Corvette!